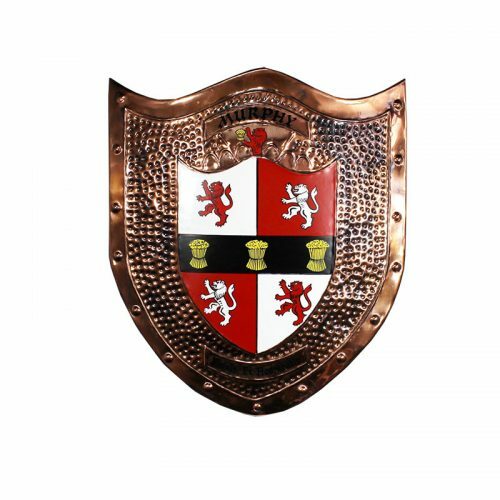 Our Cadet Double shields are our medium size Double Shields and are very popular as they make the perfect Wedding or Anniversary gift for Family, Friends and loved ones. 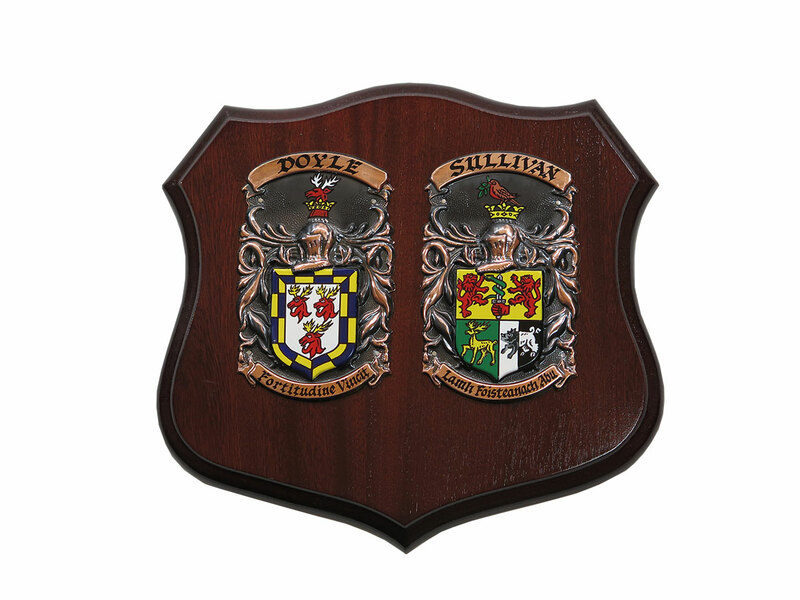 The shields are 11.5” x 10.5” in size and are made with an inverted bracket suitable for wall hanging. 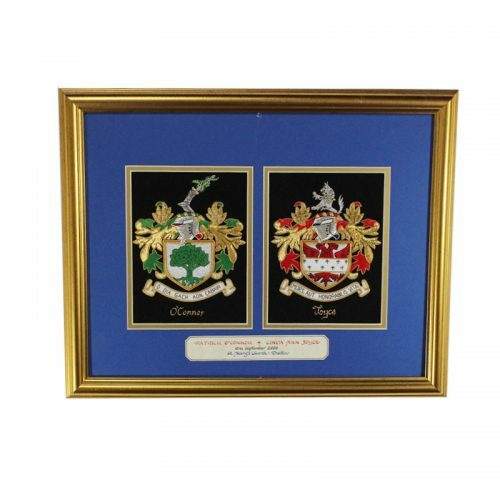 Our Cadet Double shields are our medium size Double Shields and are very popular as they make the perfect Wedding or Anniversary gift for Family, Friends and loved ones. 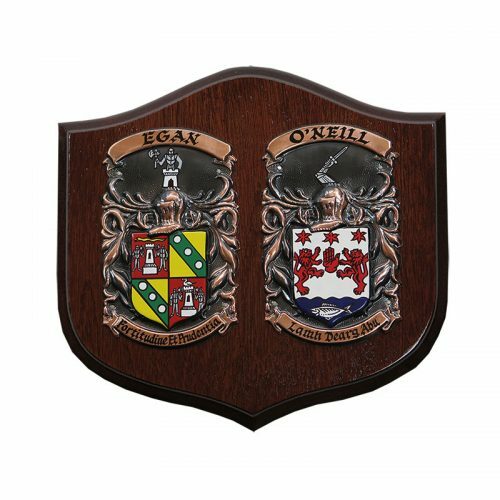 Both of the Coats of Arms are painted beautifully by hand onto copper and mounted on a mahogany wooden base by our dedicated team of heraldic artists who have been applying their craft and hand painting our Coats of Arms in Dublin, Ireland for over 60 years!! 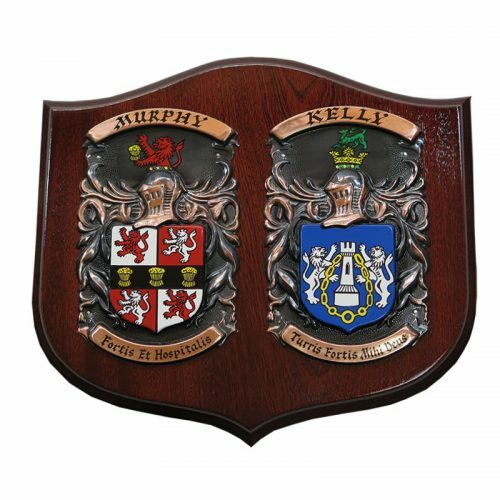 We offer a ‘United in Marriage’ brass inscription plate which is a popular accompaniment with our double shields, which feature the date of the couples wedding or anniversary or can be custom made and feature your own personal message which must be limited to 80 characters.